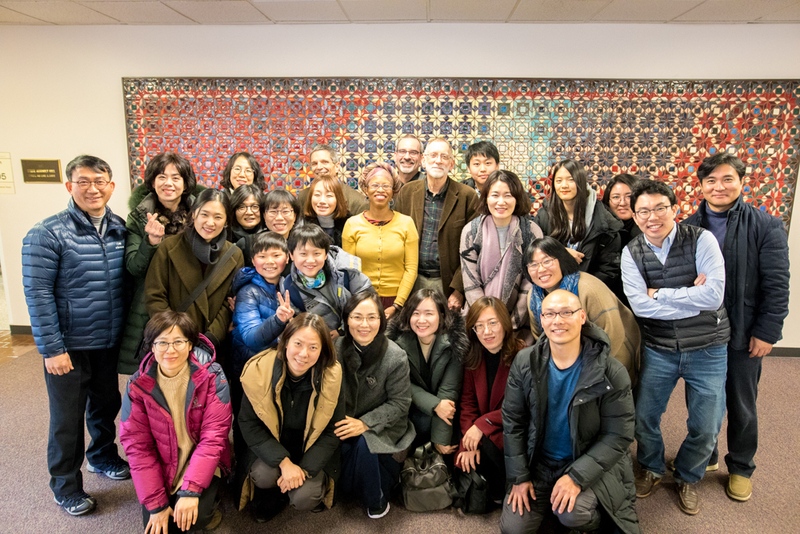 The group of 21 teachers, students, community leaders and legal professionals was hosted by EMU’s Center for Justice and Peacebuilding and the Zehr Institute for Restorative Justice Jan. 16-17 during an 11-day east coast tour organized with the Korea Peacebuilding Institute (KOPI). Since 2000, KOPI has educated and trained individuals and organizations in various domestic and international peace education programs. 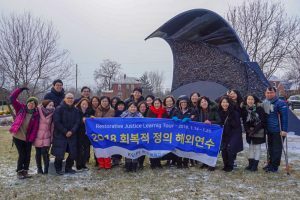 The participants on this trip had already learned from restorative justice (RJ) and discipline workshops in Korea, said KOPI director Jae Young Lee. The purpose of this trip was to learn about the “spiritual, cultural, and historical backgrounds” of the restorative justice movement. “If we believe RJ is a paradigm and not a program, it is important to know the Anabaptist/Mennonite tradition emphasizing peace and justice as a center of their faith,” he said. To that end, Zehr Institute co-directors Zehr and Carl Stauffer co-facilitated a session on restorative justice in Anabaptist tradition and Christian theology. Other sessions led by professors Johonna Turner and Kathy Evans provided overview and discussion of such varying topics as the implications of RJ and historical harms for educators. The group also experienced a one-day Strategies for Trauma Awareness and Resilience (STAR) training led by Katie Mansfield. A 2003 CJP graduate whose work has been featured in Peacebuilder magazine, Lee said that the RJ education such as he experienced at EMU doesn’t impact only enrolled students. “When you transform one person’s life through education, it can [create] transforming power for hundreds and thousands of people in the future,” he said, adding that KOPI held nearly 1,500 workshops and lectures on RJ and peacebuilding during 2017 alone. 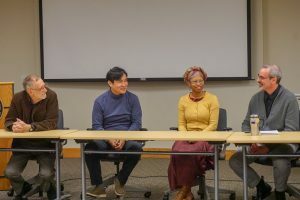 The visit was also an opportunity for “two-way” learning, said CJP executive director Daryl Byler – for both CJP staff and graduates like Lee and fellow delegation participant Yoonseo Park, who earned his masters in conflict transformation in 2016. 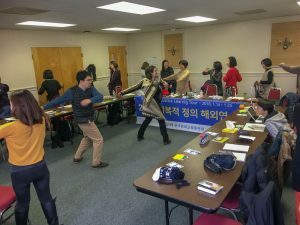 “They and others have taken the restorative justice training they received at CJP and expanded its application to a variety of Korean contexts – including the criminal justice, educational and health systems, as well as in housing and church conflicts,” Byler said. Following their two days at EMU, the delegation also visited the Mennonite Central Committee headquarters and Material Resources Center in Akron, Pennsylvania; met with shooting victims and family members in the Nickel Mines Amish community; toured Belleville, Pennsylvania; and visited two Washington D.C. schools that practice restorative discipline. This visit sounds so, so fruitful. These are folks who are making major impact in their society. I am only sad that we did not get to meet them because we were visiting Vietnam at the time. I am always thrilled to read of people to people contacts such as this. May more like this to come!